The dollar blue is dead! Long live the dollar blue! UPDATE (12/17/15): Fulfilling one of his campaign promises, the new Argentine government lead by Mauricio Macri removed the restrictions on buying and selling dollars and allowed the peso rate to float – that is it’s price is set by the market, not artificially inflated. The result of this was that the peso was devalued and the blue market for dollars shrunk. Currently, the peso is trading at $12.90 to U$S 1, while the blue rate is about $13.90 to U$S 1. This is a difference of about 8%, whereas it used to be more than a 40% difference. The net effect of this is that you can now use ATMs and international credit cards without having to exchange cash on the blue market to get the most bang for your buck. Most expect the blue rate to always be there, but only show about a 5-10% difference from the official rate. So, exchanging dollars on the blue market will still get you more pesos, but you’ll have to figure out if it’s worth carrying cash around. One of the first things to know about Argentina before traveling here is that there is a parallel market for dollars called the “dollar blue.” Our guide below will explain what the dollar blue is, explain how you can take advantage of it and let you know what today’s blue rate in Argentina is. The best description I’ve seen of what the dollar blue is and how it came to be is “Inside Argentina’s Blue Dollar Market.” I’d recommend reading that and then returning here. Ok, got it? No? Want the tl;dr? Basically, in May 2012 the government restricted the ability for ordinary Argentines to purchase dollars, which was a very common practice as no one wanted to save in pesos and lose 30% per year to inflation. Ever since that point, the “black market” for dollars, called the dollar blue (or blue rate) has soared from the official government influenced rate. While trading in the dollar blue is technically illegal, it is very much in the open aside from some occasional crackdowns on the cuevas that change money here. If you use an international ATM card or credit card in Argentina, you will be getting the official rate and losing as much as 60% on your money versus the blue rate. What Is Today’s Blue Rate in Argentina? You can find today’s blue dollar rate on a variety of websites. Our favorites are @DolarBlue and Ambito.com. Now, as the article above mentioned (you did read it, right? ), you’ll never get that published rate. There are a variety of external factors that influence it, including the amount you are exchanging. As Ambito.com shows, there is a buy price (compra) and a sell price (venta). The compra price is the what you get for selling dollars to get pesos. The venta price is what you get for buying dollars with pesos. The spread between these two numbers is where everyone makes their money. There is also a reduction in the actual rate based on how big of a fish you are. To get an idea of how much you should be expecting for your crisp green hundred dollar bills (the preferred denomination here, with no marks), take the compra price and deduct .35 cents. So, if today @DolarBlue shows the rate as $15.35, you should expect around $15.00 on the street. This is only an approximation, but we have found it to be fairly accurate. How Do You Get the Dollar Blue Rate? Start by realizing that if you’re a tourist flying into the country, you will need to withdraw money from the ATM or exchange some dollars at the official rate at the airport in order to take a taxi into the city (or use an international credit card). Ezeiza International Airport does not have any place to exchange at the blue market rate – though you may be able to negotiate prices at some of the car service stands outside customs with dollars in hand. Don’t exchange more than you will need to get through the first day or so. So, back to the question… There really are three possible ways to take advantage of the blue dollar. Each of these has it’s various pros and cons which we will explain now. That being said, it is very much in the open and happens thousands of times a day. Money transfer services (Xoom, Ria, Azimo) allow you to send money from outside of the country and pick up pesos at designated locations in Argentina. Many shops and restaurants will accept USD at a favorable exchange rate. Can I Get The Blue Rate Outside of Buenos Aires? Most likely yes, but don’t count on it. 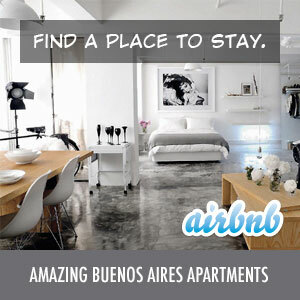 While it all depends on where you are going and how big the city is, the best place to change your money and get the best rate is Buenos Aires by far. Major tourist destinations like Mendoza, Salta, Cordoba, etc. will have exchange houses as well. Contact us and let us know what your question is. We’ll be more than happy to try and help.